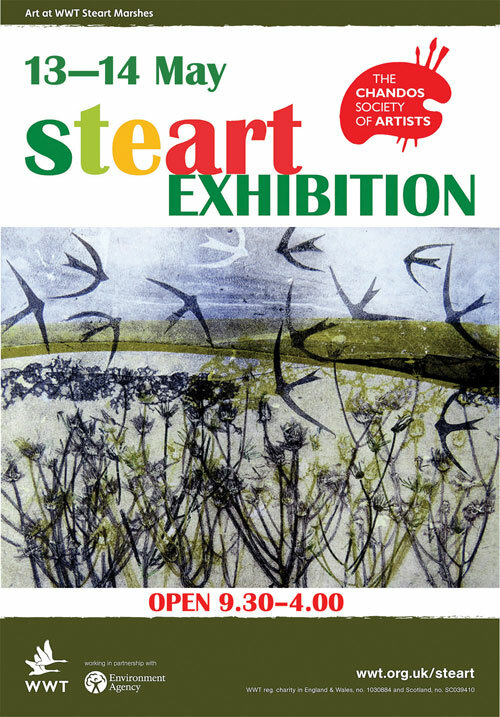 There will be art, music and poetry at WWT Steart Marshes, Stert Drove, TA5 2PU on the weekend of 13-14 May 9.30 - 4.00. The Chandos Society of Artists will be exhibiting artwork of the Marshes and wildlife throughout the weekend in Mendip Hide and some of their members will be out and about painting and sketching. Poets from the Fire River Poets will be ‘wandering lonely’ around the Marshes gathering inspiration and on Sunday, from 12-1pm, Combwich Community Choir (very much an informal 'sing for fun' group) will be singing a selection of songs including Beatles, Proclaimers, madrigals and sea shanties! All the activity takes place in and around the Mendip Hide, a short walk from the main car park on Stert Drove. Entry is free. I am helping to organise the Chandos Society pop-up exhibition in this unique venue. It promises to be a fun weekend!